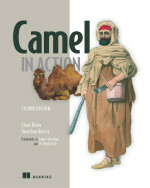 Stephen Gargan decided to contribute an useful extension to Camel he had done. He created a JIRA ticket CAMEL-2206 and attached patches. He have created a new EIP called Sampling which allows you to sample a Message during a period. For example suppose you receive a lot of noisy messages and you just need one sample. This is what this pattern does. Note the Aggregator EIP could also do this but it would be a bit more complex to setup using correlation expression and aggregation strategy and whatnot. With the sampler its a dedicated throttler to sample one message out of many. This morning I reviewed his latest patch and decided it was great quality and spent the time it took to get it into camel-core. I also wrote initial documentation for it. Stephens contribution is just one of many for Camel. In Camel 2.1 we already have 5 new components by which I believe 3 of them are contributed from the community, 1 from our new committer Martin Krasser and the last from my employer Progress. And top that with all the great feedback we get on the mailinglist, irc chat and JIRA tickets by which some have patches. Also thanks to all the people who engage and help test issues based on SNAPSHOT builds. Without you the Camel community was not what it is today. Keep up the good work. How buggy is your integration stack?